International Sericulture Commission, he led the country’s silk technology research & development for fifteen years as Director of Central Silk Technological Research Institute (CSTRI). Dr. Somasekhar is a PhD in Fibre Science from University of Strathclyde, Glasgow. He obtained B Tech and M. Tech from Bangalore University and Indian Institute of Technology, New Delhi respectively. In an illustrious career spanning more than three decades he has held many positions such as Head of Textile Technology Division, Silk & Art Silk Mills Research Association, Mumbai, Senior Scientific Officer of Ahmedabad Textile Industry’s Research Association, Chief Technical Advisor of M/s. Swan Silk, Ltd., Bangalore etc. Dr. Somashekar is an internationally renowned expert on textiles especially silk. He is widely travelled and associated with all silk producing countries. In this interview, recorded at his residence at Bangalore, India, Dr. Somasekhar spoke at length about India’s sericulture and silk industry, demystifying popular perceptions on the future of silk as an apparel fibre. GK: Sericulture is an important agro-industry in many parts of India, especially the South. A large number of stake holders such as farmers, silk reelers, weavers, traders and other manual labourers are involved. Silk has been considered a very important commodity by its Royal patrons and during British Rule. The fact that the first commodity board in independent India was constituted for silk is indicative of the importance attached to it. But the industry has been showing a declining trend over past few years. What do you think are the reasons? Dr. Somasekhar: For last few years particularly for a decade sericulture has been declining and the decline is due to various reasons. For example in Karnataka, a large track of land which was under sericulture in the past has been lost. The main reason around Bangalore Rural district has been urbanisation. Now the new Bangalore international air port has come up. As a result of that development the lands around it have gone for various purposes other than sericulture. Another reason is perhaps sericulture all along has been a labour intensive activity and we have learnt from experience of other countries that sericulture has thrived and survived as long as the contribution of family labour was in bulk. As it went towards engaging labour from outside the economics has not been working out and then also we have known that as the standards of living among the farming community has gone beyond a certain level sericulture has been lost. Another aspect is that there are many other alternatives for the farming community where, with less effort they are able to earn more. See for example in Karnataka there are more profitable alternatives like horticulture, floriculture etc with ready market and less risk. And then we have not been able to provide a stable market for the producer. The cocoon and raw silk prices fluctuate; something that they never wanted. They have always asked, ‘give us a stable price’. Another thing that has happened in recent years is imports. Large scale imports have affected the local industry and that has been a major factor. As a nation we may have various compulsions for allowing imports- particularly after globalisation of the markets we have to participate survive and fight it out in the open market and that is something which has not been conducive for the progress of sericulture. So as a result we have seen all these factors put together in various dosages contributed to the decline of sericulture. Globalisation, in fact could have been an opportunity rather than a threat for development. Many domestic industries utilised it either as a means to get cheap imports of essential raw material or as an avenue for large scale export of domestic goods. But silk industry seems to have failed miserably in utilising this opportunity. What is your observation? We have seen that while imports have increased the exports have not been increasing. Exports in quantity terms have come down. The case of raw material exports is different. For example silk waste export doesn’t help the local spun silk industry. As such the number of spun silk mills in the country has come down. We had a string of spun silk mills numbering almost a dozen in the private sector. They have all closed down now. The reason is they are not getting raw material at a price which is economical to them. We have all the technologies imported. We have Japanese technology, Italian technology for de gumming and spinning and considerable amount of money have been invested in getting the suitable machinery, the line of machines, required for spun silk manufacture. Then we also see in the recent years that the import duties on raw silk have been brought down to almost 5% and this is going to have a major impact, a perceivable effect on the growth of the industry. The reason is it is not that we will be getting imported silk at a cheaper rate like in the past. Gone are the days when we could import low quality silk when a lot of silk was made available to weavers at import prices as low as $12-16 per kg. Today the prices have gone up beyond $37-38. So what is happening? We are having bulk imports at high prices. So this is something which is going to create problems. Our own production is not much and at least the farmer and silk reeler would have commanded a better price if the imports were not there. The import price is also closely linked to the availability of local silk. When the local silk availability is low, prices automatically go up and import prices also will be at a higher side. These are the changes that have taken place and sericulture is taking a beating from all angles. India obtained a couple of anti-dumping sanctions against China in case of cheap imports of silk yarn. Do you think China has been dumping silk in India? You can’t say dumping. A few years ago cheap silk was coming. But today silk is not cheap. The silk we are importing is expensive. Why that is happening is because we have a lot of demand. There is a huge gap between demand and supply. Our own raw silk production is not meeting the requirement. 7 to 8000 tonnes of raw silk is being legally imported. Our production may not be more than ten thousand tonnes, though we claim that we have 17 to 18,000 tonnes of raw silk. On observing the availability in the field that is the farmer activity, cocoon market activity reeler and weaver activity, I get a feeling that we don’t have the kind of raw silk production that we clam to have. That is the reason we are forced to import so much of raw silk. Our requirement has always been estimated around 24 to 25,000 tonnes. If we had 17 to 18,000 tonnes local production 7 to 8,000 tonnes should have been imported. My own understanding of the weaver’s situation is that they are all not doing silk alone. This is because of the increased prices and as ordinary people can’t afford pure silk. So there is a lot of imitation material and combinations. Cotton and silk, Polyester and silk, polyester alone . . . but you have the same designs. Thus the prices have decreased the demand for pure silks. Therefore I feel that this 7,000 to 8,000 tonnes added to our own requirement may not be 25,000 tonnes. It could be far less. Our own production should be around 10 to 12,000 tonnes and our total requirement should be around 18 to 20,000 tonnes. As I understood, in the past, there were lot of loop holes in imports and large quantities of raw silk were getting into the country through unofficial channels. But all those have been plugged now and the situation also has changed. There is no incentive for people to import silk when the price is high. Even in China, they are not giving you silk less than $ 37 to 38. The overall market situation is such that we have a gap and because of our own production being low, this gap is being filled by imports. I was in China a few years ago and I had an opportunity to discuss with the companies which manufacture and sell silk. They have lot of buyers in India. I asked them why have they increased the prices, and we can’t afford silk at $ 37 to 38 and even more. The answer I got was: “after all our interest is to sell more. But we will have to see at what prices we are producing raw silk”. The MD of the company told me that for past few years they have been forced to give double the salaries being paid until then. That has (almost) doubled the cost of production. The standards of living in China have increased and the situation that existed in the past is no more relevant. Given this kind of a situation silk is becoming an expensive material and I don’t think it will be cheap in the future and the kind of prices that we have seen in the past may not come again. In such situation countries like India may see further drop in production. We may feel that China has a monopoly. But in the years to come it is quite possible that their interest may also go down and the total silk availability come down. Is silk going to stay for ever? I foresee a situation where we will definitely have less and less silk in the coming years and we have to live with it and kind of decide where we need silk. This is going to be a big question. Do we need silk for apparels? In the recent years we see a whole lot of uses of silk other than apparels. With the total availability coming down we should also look at other possibilities which could open opportunities for expensive silk in much better and more important uses. In bio-medical engineering silk is seen as a scaffolding material. It helps growth of cells in the body. Can we look at these possibilities and expand into these areas? We need not worry oh! We are losing silk. In the years to come we should also plan out sericulture from these angles. When we look at silk for apparel purposes the quantity requirements are too huge and we try to increase productivity, leading to use of large quantities of inorganic fertilizers. That is how the quality of land deteriorates. Diverting silk to non apparel purposes will reduce the quantity demand pressure. This would be far more scientific. When we use silk for bio-medical purposes there shouldn’t be even traces of inorganic material in it. This reduces pressure on environment. Perhaps more such uses may arise. India implemented at least two ambitious externally aided projects: the Karnataka Sericulture Project (KSP) and National Sericulture Project (NSP) both were declared failure by those who did final assessment. Where did we go wrong? What are the lessons? KSP & NSP were in many ways projects for the sericulturist, for upgrading himself, to adopt new practices and to accept new technologies. The model of sericulture that we had is something very important. In fact I had projected three models of sericulture existing in different parts of the world. The inputs that we gave in KSP & NSP were mainly to the Indian model. That is small producer – small converter. The support that was given to the industry was not much. The planners at that time thought that we have to support the supply side and that is how all the support was given to the farmer. That was to strengthen the base. What has happened is there for you to see. Now, while looking back one gets the feeling; should we have supported the demand side, for that would have created a demand pull and perhaps resulted in better sericulture? All said and done, there is an absolute need that we change the Indian model of small producer & small converter. May not be totally towards the Chinese or Japanese side; but somewhere in between. For this I had proposed certain changes. There was a committee which had looked into these things and given a request to the Research Coordination Committee (RCC) of central Silk Board which was chaired by Prof. Chopra. He said that the suggestions of the committee should be put into practice at least by the leading states (Karnataka, Andhra Pradesh and Tamil Nadu). But I don’t think that has happened. We haven’t made course corrections. We tend to stay where we are. That is not good. We should adopt ourselves to the changes that are taking place. Everything is market driven today. We can’t say ‘I have a poor farmer, please buy’. I can’t go and ask people ‘buy Indian silk’. If the demand is met, if the quality is met, any silk is acceptable to a customer. Market doesn’t wait for you. The focus of both NSP and KSP was popularisation of Bivoltine (BV) sericulture. India received a lot of technical support from abroad, especially from Japan and until recently Japanese stayed in India to ‘bivoltinise’ Indian sericulture. In this quest we have grossly over looked the strengths of local varieties of silk worm: the multivoltines and cross breeds etc. Given that the current percentage of diffusion of Bivoltine hybrid in the country is as low as around 10%, what is your assessment on India’s strategy on BV popularisation? How important is BV sericulture to India? I don’t say, looking at the Indian sericulture, the situation is very conducive for bivoltine. Even in Karnataka we can practice only two crops of bivoltine out of 5 crops per year. Thus bivoltine is not favoured so much, climate wise. We put in efforts since 1975 for developing Bivoltine sericulture in India. Beginner’s luck, you can say, we had very good results with bivoltine. But we have not been able to sustain it. As a person with long term association with silk industry, I would say that bivoltine is not for small scale farmer. That means bivoltine is not for our model of sericulture. Our farmers are poor. They don’t have the strength to absorb the technological advancements. They don’t have the capacity to invest. Under the project we supported them technically, financially and by way of extension. All these helped them to get the result which was very good. But the moment all these supports were withdrawn after the project it went back to square one. But the now celebrated Cross Breed (Kolar gold) has not been a research breakthrough. This has been a contribution from the graineurs. Yes. This is the point. In research we had aimed at something and the fall out has been something else. We have succeeded in research. It is only the extension and transfer and sustenance of this knowledge at the farmer level (we have failed). I am not talking about a small number of farmers who are always under scrutiny and support. I am talking about farmers at large. But the entry of PM X CSR 2 and PM X CSR 4 has changed the whole situation. Sericulture research has been a prerogative of Central Silk Board, as the government money for research goes to CSB. Has CSB been monopolising sericulture research in the country? The fact is that apart from CSB research institutes other institutes were not developed to carry out bivoltine research. They didn’t have that kind of background. Where ever you talked about Bivoltine sericulture a scientist found elsewhere was from CSB or formerly from CSB. Two state institutes came up; one in Karnataka and the other in AP. Basically they were all meant for carrying out applied research. Sericulture research is basically applied. During the NSP period CSB invited proposals from umpteen numbers of universities. Some 80- 100 projects were approved and funds were made available. But their interest dried up after the project. They didn’t pursue it and try to get funding from elsewhere. Even today CSB supports research from universities but not to the extent one has been during NSP period. The bottom line there is the interest shown by people. CSB dint monopolise any research. There was no need. Whatever facilities (equipments and man power) created in institutes and universities during NSP were all limited to the project period. Afterwards they haven’t really done much. The universities also don’t have any long term research plans. Research in our country has been influenced by the demands that have come up. There was this need to expend. That is we needed to produce more, reduce imports. This is the kind of situation that influenced our research. So we addressed productivity and quality. I agree that productivity and quality are not achieved at the final stage. One has to work from the beginning. But that kind of effort has been less. Again the interest of individuals also matter. Large number of scientists would like to delve more on applied areas rather than basic areas because they all feel that the results are quicker and they would be able to show something to the people. The number of people who have shown interest in basic research is less. It is not that we don’t have facilities for basic research in CSB. We do. Basic research is time consuming. You don’t get results over night. So we need people interested in these areas. The pressure of the market shouldn’t be coming to these people. Let the applied people take care of the market situation. I think the CSB would do well to create in each of its research institutes in Berhampore (West Bengal), Mysore (Karnataka) and Pampore (J&K); certain number of people and groups to go into basic research. It was also thought during the NSP period (as I remember) to entrust universities with basic research. Universities were not expected to do applied research. But that thought didn’t materialise. There were wrong decisions made too. The Karnataka Sericulture Development Institute (KSSDI) later on became KSSRDI (Karnataka Sericulture Research and Development Institute). The research part was not there as it was conceived during the KSP period. The KSSDI was supposed to take out the output of Central Institute and ‘package’ for field requirements. But that responsibility was not taken by KSSDI. It became KSSRDI and became a competitor to Central Institute. That wasn’t required. Today there are problems. They are not able to get funds for salaries. A re-look is desirable and possible even today. KSSRDI could drop the ‘R’ and become a sequel to the research that is done at Mysore institute. Same holds good for APSSRDI of Andhra Pradesh. Their job is very important. Indian silk reeling industry is visibly in peril. The farm sector of sericulture seems to have stolen the entire attention of policy makers, leaving silk reelers in hardship. Apparently the obsolete technologies prevailing in the reeling sector has made it incapable of absorbing whatever quantities of high quality bivoltine cocoons produced in the country. What has been happening to the reeling sector? For the reeling industry to do well, quality of cocoons is primary. In raw silk production, 90-92% of cost of production is cocoon price (during normal times). Sometimes it can be even more than 100% where the reeler looses. He can only be compensated by selling by-products. Unless you have good quality cocoons it becomes impossible for the reeler to adopt new technologies. Central Silk Technological Research Institute (CSTRI) Bangalore developed multi-end reeling package and as many as 300 or more small units (which was the economic size at that point of time) were manufactured. They were all planted in a number of reeling areas. The quality of yarn came out of them was good. Only thing was the way the BV has not been able to influence the (cocoon) market, multi-end raw silk could not influence the raw silk market. The ‘influence factor’ comes with quantities in the market. Quantity influences the market. If BV has to influence, it has to be made available in very large quantities. Similarly multi-end silk has to be made available in very large quantities. For the reeler, when he goes to the market, his buying ability restricted by the amount of money he has. None of these small units enjoy the kind of working capital support the bigger industries enjoy. We have worked on this also. There was a scheme to support these people. We went to banks, talked to them and some kind of support was made available. But still the reeler lacks the much needed large working capital base. Today it is once in 2-3 days the reeler has to go to the cocoon market. Buy cocoons, convert to silk, and sell silk and again go back to buy cocoon in 2-3 days. Whereas in the organised sector; it is at least a couple of months. A small reeler who is producing 10 kg silk per day would require at least 70 kg cocoons and if he has to survive well he needs to have a stock for 20-25 days. That means 1.5to 2 tonnes of good quality cocoons, which would cost at least Rupees 35 to 45 lakhs. Is this kind of money available to our reeler? That is why he is finding it difficult. Our own cocoons, for the quality they have, are the highest priced of the whole world. Nowhere in the world cocoons are as expensive as in India. That’s the reason why the reeler has not been able to change and he continues to work in a dirty situation with smoke, smell and all this. This is where we have to look at the models of sericulture. There is a large number of people working in this sector. We can’t go on like this, talking about taking care of these many people. See, in the years to come frankly speaking, if you want to take care of these people as a state, you have to give them alternate areas to work. Take them out of this misery and keep only the required number of people in this activity to make it economical. And if something is not economical, I don’t think there is a need to practice it. If sericulture is not good for certain state why should they do it? Just because a sericulture department has been created, you don’t have to waste money. Sericulture is a culture. If it is a culture for a farmer in Kolar, because he has been doing it for generations and he knows what it is. You can’t take this culture and ask a person somewhere in another state who has not even seen a silkworm, into sericulture. That’s why we have failed. There are certain practices, very native. If I have to take it to Kerala, I have to see if it is acceptable to Keralites. The family and the neighbourhood should accept it. It is a culture by itself. Is the silk weaving sector any better off? How well equipped is our weaving sector in catering to the needs (of high quality silk fabric) of the international silk market? Indian textile industry is quite modern now, thanks to the Government of India interventions. More than 25,000 crores of Rupees has been infused into the industry and lot of modernisation has taken place. They are able to produce high quality yarn, a huge quantity of which is being exported. Formation of producer consortia has helped the situation by enabling the weavers to place bulk orders for raw material at competent prices. But the case has not been the same with silk weaving sector. It is too small a sector for taking to such changes. We have three sub sectors in silk weaving: handlooms, power looms and the highly organised shuttle-less loom sector. 95% of the silk fabrics produced is from the handlooms and power looms the bulk of which is coming from the handlooms. The conditions of the handloom weaver are not very good. He has no capacity to buy his raw material, which is silk yarn. He takes the yarn from a master weaver and converts it to fabric on wages. Thus he is only a converter or labourer, not an entrepreneur. The silk reeler is at least an entrepreneur. He is investing a few thousands of rupees every day. But a weaver doesn’t. So the handloom weaver is affected by the market conditions. And his situation is pretty bad. There is not enough demand for the handloom product. The reason is that he is not weaving fabric as per the requirements of the market. He knows to weave something which he continues to weave whether it sells or not. The handloom weaving industry is not reacting to market requirements. Finally, what has been the contribution of Central Silk Technological Research Institute, to Indian silk Industry? CSTRI has been a partner to bivoltine development, all along. Then we became the prime mover to improve quality of silk reeling. That’s where the multi end technology came into being. May be we dint succeed much in the reeling sector, because of the reasons I have already explained. But we succeeded in other areas like silk yarn dying. We successfully moved the dyers to new technology which has also influenced the market. Today the yarn dying industry has come of age. We developed a handloom and an electronic jacquard, which have diffused well in the industry. Another important development was computer aided designing coupled with a card cutting machine and automatic lacing of card. You see a large number of people using these technologies now. In Dharmavaram area itself as many as 150 computer aided design units are working. In the non-mulberry sector, the reeling and spinning machines we developed has gone to the filed in thousands, through supporting schemes. CSTRI is now recognised as a National Research Institute. It is also recognised as one of the Textile Research Associations by Ministry of Textiles, Government of India. We take up a lot of consultancy services for companies like Hindustan Lever, developing chemicals and evaluating their soaps and detergents. We have helped IFB, the washing machine people in developing a wash program for silks. We dint advocate continuous revolving of the drum. For silks, we said it should rock! Interview has generated good lot of facts of the industry and projects like;KSP /NSP implementation and role of State/CSB. 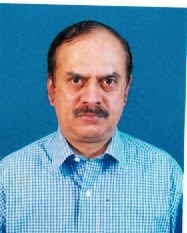 There is lot to imbibe to research area by universities for basic research and developmental area by state institute/s. Really "biovltine is not for small farmer", I endorse it . We need to strengthen multiXbi CB, rather than being more inclined towards BV only. Strengthening of reelers and weavers is need of the hour. Article (interview) has message for all researcher, teachers , extension functionaries' and policy framers too.Dr.Somashekar has critically, frankly expressed his views with his rich experience, concerned need to note and act wherever possible in the best interest of the seri sector.